The concept of the Suicide Squad (aka “Task Force X”) originated 50 years ago when the characters were introduced in a comic book issue of The Brave and the Bold (#25). The comic book series Action Comics (#552) also featured the team. The classic storyline focused on a group of ordinary people battling super-powered menaces. The character list included Rick Flag, Jr., Karin Grace, Dr. Hugh Evans and Jess Bright. 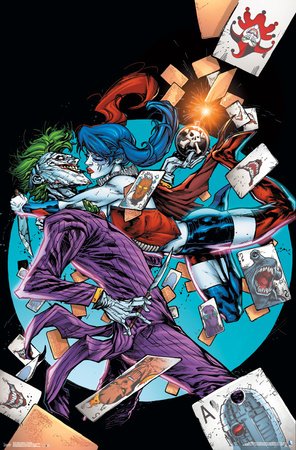 D.C. Comics writer John Ostrander was tasked with resurrecting the Suicide Squad in 1987. He abandoned the vintage-era concept and conceived a new angle: a team of super-villains commissioned by the U.S. government to undergo dangerous missions. Emulating the show “Mission: Impossible” but adapting the idea for the D.C. universe, members included the villains Blockbuster, Bronze Tiger, Captain Boomerang, Deadshot, and Enchantress—all controlled by Amanda Waller. The group was featured in the Legends cross-over series but later received their own regular title which ended in 1992. 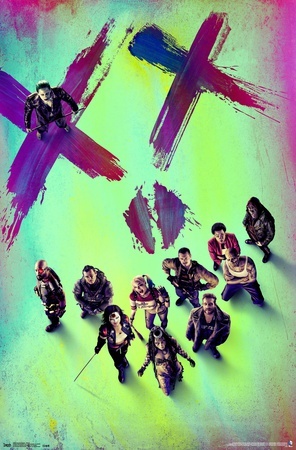 The New 52 reboot of the Suicide Squad included Harley Quinn, King Shark, Deadshot, Unknown Soldier, James Gordon Jr., Captain Boomerang, Yo-Yo, Black Spider and El Diablo with Amanda Waller still controlling the team. The Suicide Squad film adaption will feature D.C. comic book characters Amanda Waller, Deadshot, The Joker, Boomerang, Harley Quinn, El Diablo, Killer Croc, Rick Flag, Slipknot, Katana and Enchantress. Recurring characters missing from the movie cast include: Unknown Soldier, King Shark, Black Spider and Killer Frost. Ever since the release of “Batman vs. Superman,” fans have theorized that The Joker is actually Robin. 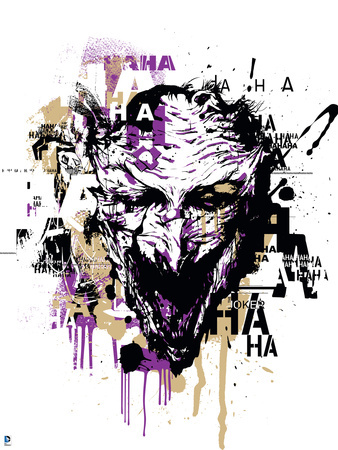 The theory states that Robin fakes his own death in order to take over the mantle of The Joker, after losing his sanity during an encounter with the previous incarnation of the villain. A reddit user points out that two scars on a photo of Jared Leto’s Joker body matches the same puncture spots on Robin’s old superhero suit. Zack Snyder, the director of both films, officially debunks that theory and reassures audiences that The Joker is…The Joker. Posters, T-shirts and more! Browse AllPosters.com to find everything you’re into. Previous Against All Odds—The Warriors Reach the Finals!